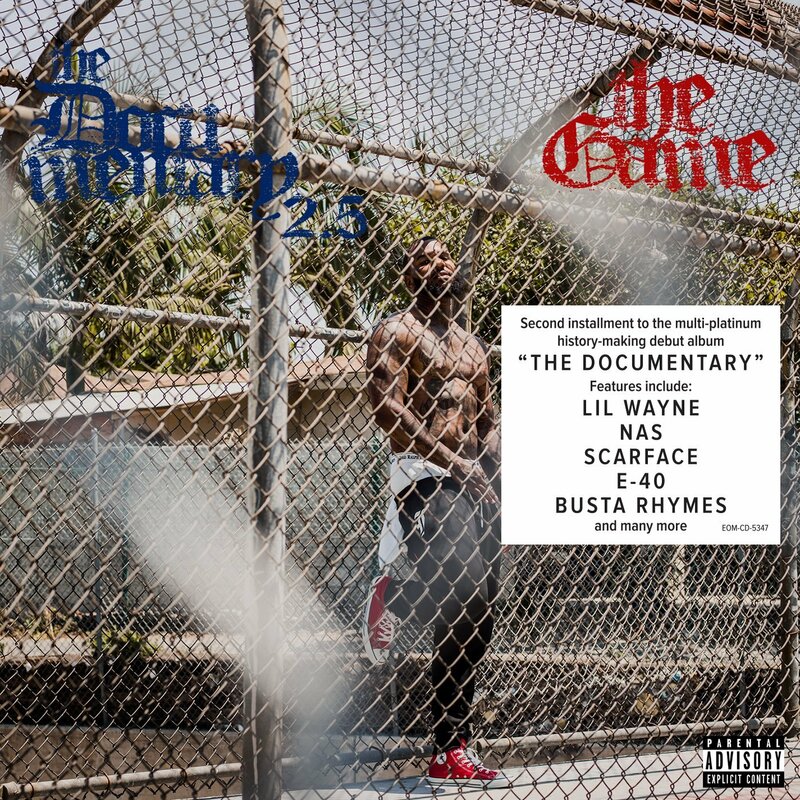 A week after dropping the first part of his double album The Documentary 2, The Game is back with a second disc, titled The Documentary 2.5. He follows up the first disc’s 19 tracks with another solid 18—clearly, he’s been working since releasing his last studio album in 2014. Just like on the first disc, The Game has called in features from a who’s who of the L.A. rap game, with verses from ScHoolboy Q, Ty Dolla $ign, YG, and Jay Rock. He’s also brought in collaborators from farther afield, like Nas, Lil Wayne, and Busta Rhymes.